John W. Muldoon brings extensive experience in the insurance industry, with particular expertise in governance, to the AHRF Board. 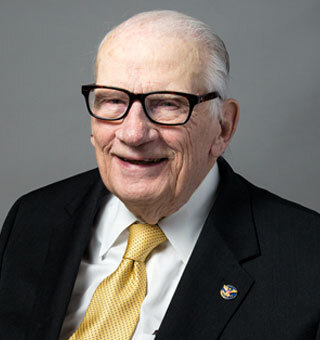 Muldoon’s lengthy career embraced most facets of both the property and casualty, and the life and health insurance industries. Increasingly, he specialized in director and officer liability, errors and omissions, professional liability, and malpractice insurance coverage. Muldoon has been listed in Who’s Who in Insurance, Who’s Who in the Midwest, and Who’s Who in America. He has served as a consultant to risk managers, retail insurance agents and brokers, and wholesale brokers—and as a Vice President of Swett and Crawford, a wholesale property and casualty insurance broker. Earlier in his career, Muldoon worked in a variety of underwriting, marketing and management positions with several different insurance companies. He is a graduate of DePaul University and Harvard University Graduate School of Business. Muldoon attended the U.S. Army War College.